Leeds United have confirmed the signing of goalkeeper Ross Turnbull from Barnsley on a two-year deal. The former England youth international has become United’s sixth summer addition and arrives on a free transfer. The 30-year-old, who played 27 games last season, has come through a successful trial with Leeds after beginning training with Uwe Rosler’s squad this week. Turnbull’s career began at Middlesbrough and – following a series of loan moves – he became a regular fixture during the club’s 2008-09 Premier League campaign. He moved to Chelsea in 2009, but found his chances limited behind Petr Cech, although he does hold winners medals from the Champions League, Europa League and FA Cup. Turnbull joined Doncaster in 2013 and played 31 times before switching to Barnsley last summer. He is capped at under 16, U17, U18, U19 and U20 levels for England. 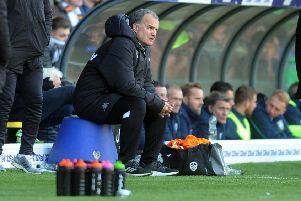 Turnbull could make his first appearance in a Leeds shirt tonight with the squad being split for pre-season friendlies at York City and Tadcaster Albion.